ECC Menu Show search box. The College of ECC recognizes the challenges of the 21st century. Our faculty and staff are committed to developing students who graduate well-rounded and work-ready. 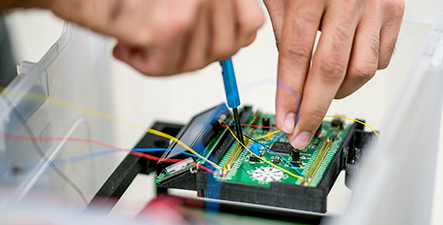 Our students work cooperatively with other scientists, engineers, and business professionals to develop innovative solutions to complex problems. The disciplines within the college provide students with the knowledge and skills to meet these challenges. As the demand for STEM-related professionals grows, many departments boast 100% job placement of graduates who go on to become industry leaders. We welcome your interest in our college, our programs, our faculty, and our students.